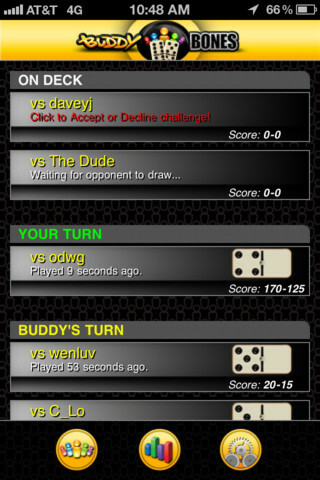 Developer Quote: "Buddy Bones is the first turn-based dominoes app that allows you to play against your buddies." This game is exactly what I consider a well-rounded one as far as turn-based play goes. Swift turnaround time from one player to the next combined with the BuddyChat feature (which is imperative in sharing quips and taunts with friends while playing) are two of the greatest features of this game. The cool Buddyfication system allows you to express your creative self with the background and style pieces you prefer! 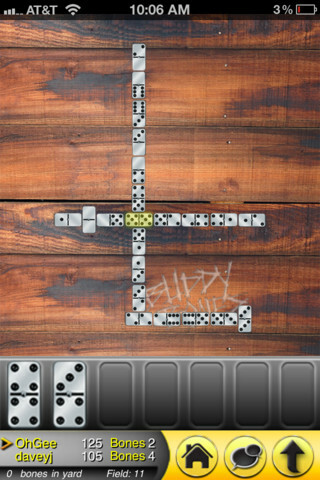 It's so easy to catch up with friends and make new ones with other dominoes aficionados and Buddy Bones. 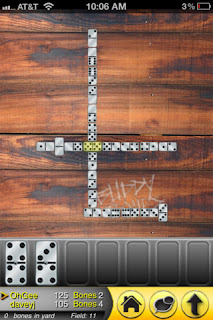 COOL CONCLUSION: Buddy Bones is a well structured and thoughtfully engineered game for those who enjoy a competitive and engrossing dominoes game!